This much-anticipated law was finally approved yesterday. It amends the Civil Procedural Law, the Tenancy Act (http://noticias NULL.juridicas NULL.com/base_datos/Privado/l29-1994 NULL.html) and the Commonhold Act (http://www2 NULL.icamalaga NULL.es/funcio/legales/coleg6/lphingles NULL.htm). Timeframe reduced to file eviction law suit down from 2 months to 1. Landlords had to imperatively wait two months of unpaid rental before they could initiate the formal eviction procedure through the civil law courts. This has now been reduced to only one month’s waiting time. Swift execution of the eviction. The judge’s ruling will suffice to execute the eviction on the day and time that is agreed. The landlord is free to agree with his non-paying tenant to condone part of the debt providing the defaulting tenant leaves the property immediately. As from the ruling, the deadline to vacate the property has to be a statutory minimum of 15 days. It may even reach one year depending on what’s agreed. The whole legal procedure is substantiated through a verbal court procedure, as per Spain’s Procedural Law (this is not a novelty). This should be faster, in theory. 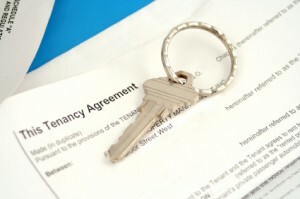 The landlord can now waive the statutory long-term let of 5 years. He may now include clauses within the Tenancy Agreement in which this compulsory timeframe does not apply. i.e. a clause whereby it is stipulated that the property will be needed for the landlord’s own use or for his family’s. However, if after 3 months’ time the landlord or his family have not taken possession of the property, he will be forced to re-install his ex-tenant and award him a suitable compensation to offset the expenses of the move. Changes in the Community of Owners. Commoners will have to approve by simple majority (3/5) those improvements in the community whose aim is to be ecologically-friendly i.e. improved water or energy ducts. If these improvements can be individually enjoyed by the commoners then only a vote of 1/3 is required. One of the major problems landlords face post credit crunch is the increasing number of non-paying tenants. Many landlords rely on this source of income to offset partially or wholly the mortgage repayments of the property that is being leased being forced to have them legally evicted (http://www NULL.marbella-lawyers NULL.com/articles/showArticle/spain-tenant-not-paying-rent-spanish-property). In my article on “Landlord: Keys to Successful Rental Income (http://www NULL.marbella-lawyers NULL.com/articles/showArticle/income-lease-rental-insurance-spain)” I pointed out that one of the best ways to avoid non-paying tenants was to take pre-emptive measures such as screening candidates carefully weeding out those with unsuitable profiles. There is now a helpful website available that lists non-paying tenants nationwide: Fichero de Inquilinos Morosos (http://www NULL.fimiberica NULL.com/) (FIM). For a reasonable fee of only 9,95€ you will be able to search –in English- if your prospective tenant has actually defaulted previously on a Tenancy Agreement. As pointed out in my article, there are professional defaulting tenants that roam the country in search of their next victim, preying preferably on trustful non-residents. In hard times such as these, many struggling landlords cannot endure the hardship of a financial leach that eagerly exploits Tenancy laws shortcomings. This website’s database is continuously updated with the input provided by both eviction rulings as well as by other users’ feedback. You can additionally include your own non-paying tenants in their list providing you comply and follow the online form’s instructions. Professional non-payers who’ve made a lifestyle out of it will have already been included in the list. I think it is a useful tool that compliments nicely other tools such as rental insurance, rental bank guarantees, adding an arbitrage clause and screening out your prospective tenants. This gizmo can be used only for those candidates who’ve made it to the top of your screening list. You might as well spend a few dozen Euros now rather than having to fork out thousands at a later date. Better safe than sorry. Within the next months we are going to be bombarded with articles spinning the Government’s eagerly anticipated new Express Eviction Law (http://www NULL.senado NULL.es/legis9/publicaciones/html/textos/A_032-01 NULL.html) which has yet to be pre-approved by the Senate (http://belegal NULL.com/blog-by-antonio-flores/spanish-express-eviction-law-pre-approved/) before it is returned to the Congress of Deputies for its final enactment and publication in Spain’s Official Law Gazette. This new law aims primarily to tackle cases of non-paying tenants which overstay in let properties, to the astonishment and despair of landlords. But will it really help out? In short, no. The proposed measures implemented by this law can be easily challenged or overcome by tenants. Besides the new measures will not shorten the eviction procedure significantly as sought as it hinges on the courts not being clogged, as they always happen to be. The shortcomings of the proposed measures are self evident. The core of this proposal is the much vaunted 2 weeks waiting time, dubbed express eviction, as from the time there is a ruling evicting the tenant. But there’s a catch; the trick is that the said ruling can easily take 6 months on average dependent on the courts’ agility, so the tally would really be 6 months plus the 2 weeks. So yes, there is some reduction in the timescales involved to evict non-paying tenants, albeit not groundbreaking enough to open a champagne bottle as we are being led to believe. This half-baked attempt to redress matters will at best save only a couple of months. 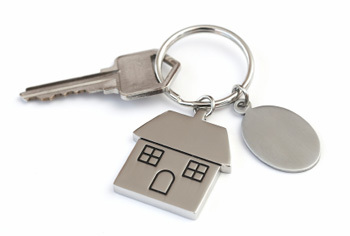 Landlords will still have to wait months to recover the possession of their let properties. This is a classic example of passing new laws to satisfy the broad public (read electorate) at large which at the end of the day may only complicates matters further without really tackling pressing issues and even leaving the door ajar to potentially adding new problems. At best we can label it as a half-hearted attempt to address the situation. A golden opportunity has been missed –again- by the legislator to address Spanish Tenancy laws that are heavily biased, for historical reasons, in favour of tenants. These laws need to be urgently and decisively adapted to modern social reality. When this is done, here’s wishful thinking, letting will become a serious alternative to purchasing properties allowing the Spanish rental market to pick up from the ground as in the rest of Europe. In the meantime we will regrettably have to continue waiting until a law is passed that will boldly challenge this unfair situation once and for all allowing for express evictions instead of politically ill-conceived piecemeal attempts aimed to satisfy everyone. A mere delay in paying the let for a second time, by a non-paying tenant who has been previously sued by the landlord, will be a just cause for an eviction procedure. This new scenario has been made possible thanks to a recent rulling by the Spanish Supreme Court of Justice. As explained in my article on Eviction Procedure in Spain (http://www NULL.marbella-lawyers NULL.com/articles/showArticle/spain-tenant-not-paying-rent-spanish-property), one of the strategies a non-paying tenant could follow to stall the procedure after the landlord had filed a law suit against him requesting a formal eviction, was by paying late (“enervación”). This stalled the procedure and forced the landlord to continue with the tenancy agreement. Albeit the tenant could employ this tactic only once. The new change will mean that if the tenant should pay belatedly a second time (i.e. for two consecutive months), after the landlord has previously initiated an eviction procedure for the same reason, it will no longer mean the case can be dismissed or thrown out of court. It will mean the tenant breached the contract. Period. Spain’s Supreme Court has now unified the different approaches and regards that the tenant has breached the Tenancy agreement, provided the contract stipulates a deadline in which the payments have to be met every month. This puts an end to non-paying tenants which continuously abused the legal system on deciding when they felt fit to pay their landlords in lieu of when they were meant to. This change has been brought about by one of the latest ruling of Spain’s Supreme Court. This is the second ruling on the same issue with a similar outcome which will now set jurisprudence in our legal system. The prior ruling (http://www NULL.elmundo NULL.es/elmundo/2009/06/01/espana/1243864463 NULL.html) is also from this year. Both of these rulings aim to address the increasing problem landlords are faced with in Spain on letting their properties to professional defaulting tenants. Additionally, the dire financial circumstances have forced what used to be trustworthy tenants into defaulting their lets and abusing our system too. These rulings will now add new legal tools to defend landlords, as in Spain, the laws have been traditionally biased towards tenants for historical reasons which need to be adapted to social reality without delay.